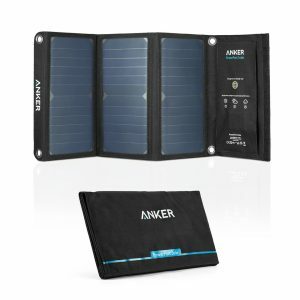 Just ordered one of these from Anker to try solar charging. Unless I’m in the field and want to charge devices directly, I am going to first try using the Anker solar charger to charge the 15000 mAh Pineapple battery, then use the battery to charge devices. Reason being I want to put the charger in a nice sunny spot and just charge the battery instead of the devices directly.